B2 Fire class expanding foam with good thermal and acoustic insulation properties. Rapid curing and expands to 30 times initial volume. Ideal for filling around door and window frames, pipe penetrations and where DIN 4102 B2 fire class is required. Excellent yield and adhesion on most substrates. Suitable for both indoor and outdoor use. 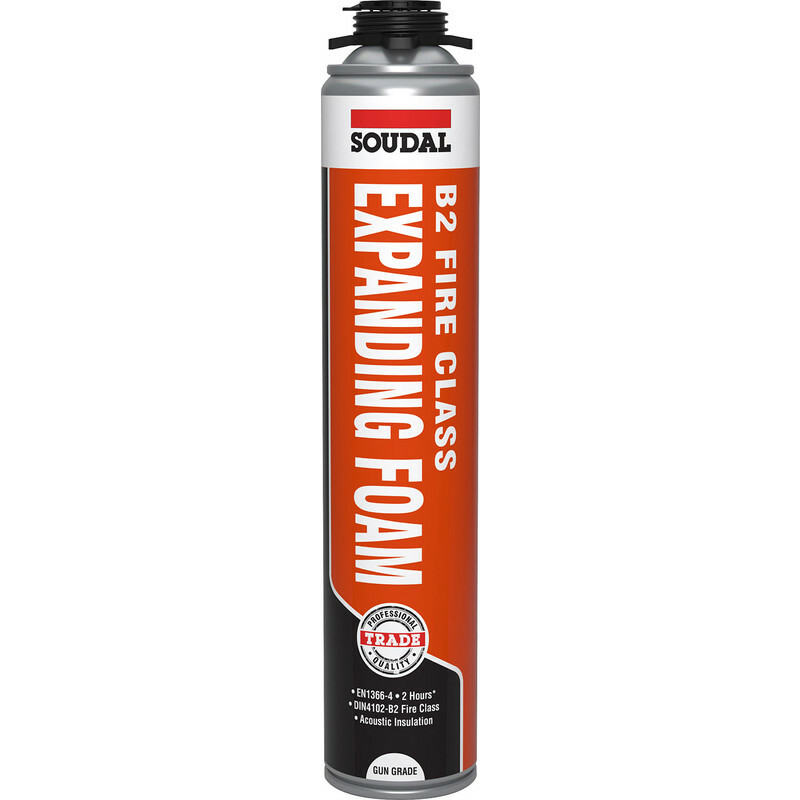 Soudal B2 Expanding Foam Gun Grade 750ml is rated 4.8 out of 5 by 4. Rated 5 out of 5 by Bladder from No gun required Used to fill gaps around eaves good expanding foam must be used upside down so bit awkward in tight spaces. Good product will use again. Rated 5 out of 5 by OldBill from Does the job well Be Gentle on the trigger, slow and easy. Otherwise it does what it says on the tin . Rated 4 out of 5 by ralpheyesight from Good product I purchased this to fill around two pipes through the walls. It worked well expands much more than you realise. Only difficulty could be if using close to ceiling as it instructs to be used upside down not always possible. I used it as close as possible. Do wear the gloves it is very sticky and difficult to remove. Cleaning out the “straw” as soon as you finish and again later. I used a stiff wire similar to a wire coat hanger.